On Monday August 7th SAP S/4HANA Cloud 1708 was released to customers. 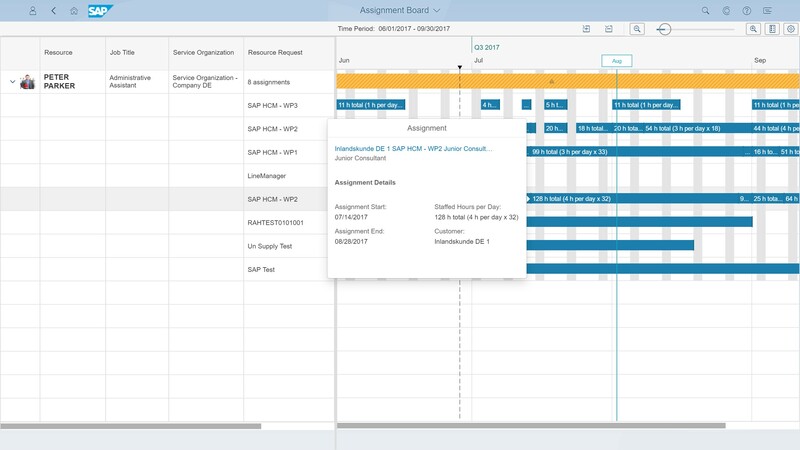 Continuing the tradition of release blogs for SAP S/4HANA Cloud for professional services, we want to highlight some of the new capabilities for the scope of SAP S/4HANA Cloud for professional services with the 1708 release. One area in which SAP has invested significantly in the past releases is around the entire user experience. A lot of effort has been invested in overview pages. And this was actually an outcome of successful Co-Innovation as customers were highly requesting an improved user experience. This overview page offers real-time information from a number of different sources. With this information, you are enabled to comprehensively monitor the projects which you are currently running. And, this allows you to focus on important KPIs for revenue, costs, and profitability for your projects. Let us move on to resource scheduling. The direct staffing out of the resource scheduling application now allows resource managers to create assignments for resource requests (project work package roles) to the best fitting resources. 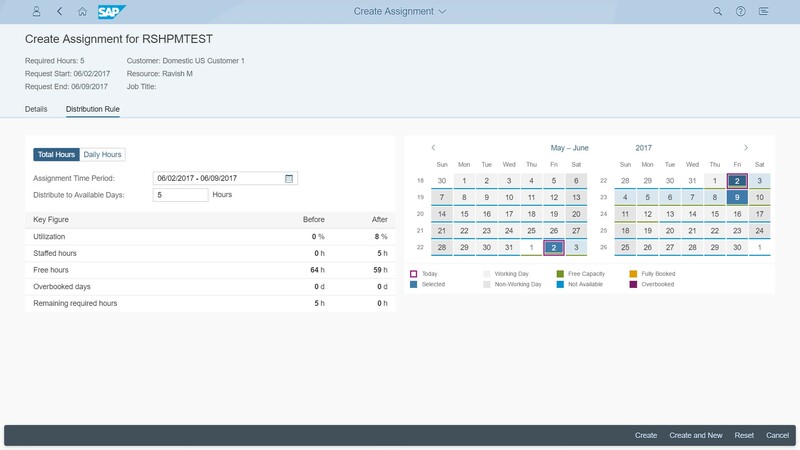 To get a better overview of the actual assignments there is now a dashboard, the graphical assignment board. This new graphical assignment board is designed to bring you the transparency you need on resource assignments from a monthly, weekly, and even down to the daily view. If a consultant for instance is booked to several projects at the same time, the assignment board supports you in making this visible. Additionally, a simulation of key figures will show how assignments would affect for example the utilization rate. In the time and expense management area we are introducing a new role, the line manager, which is able to work across its team of employees. The new “Team Utilization” app analyzes the utilization rate of the line manager’s team and provides the insight to keep your team fully utilized. The overview of which employee has how may billable hours, non-billable hours, approved hours, unapproved hours, and total recorded hours benefits in improving the performance of the team. In his role, the line manager can also take actions like editing timesheets on behalf of an employee to ensure a fast and efficient billing process and avoid any unnecessary delays. 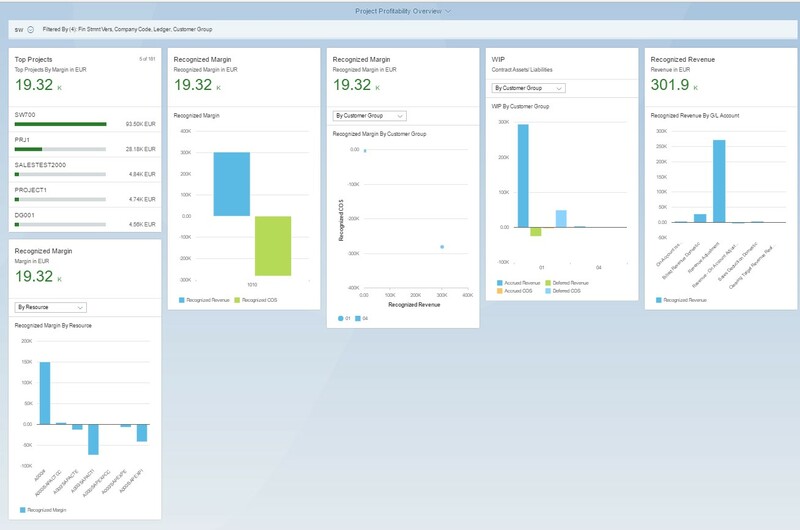 These highlights give a quick glimpse into what is coming new with the SAP S/4HANA Cloud for professional services in the 1708 release. Of course there are more enhancements that support companies working with project-based services in gaining more insight into the progress of projects and their profitability.